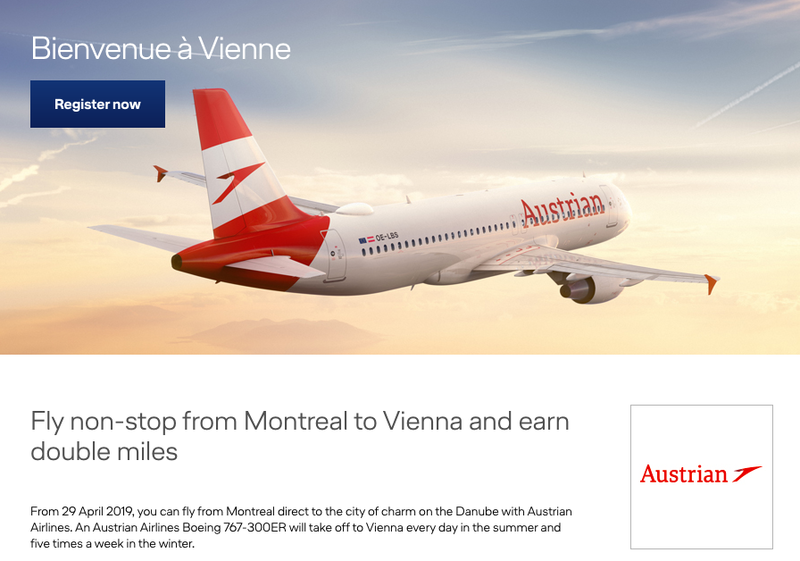 Rewards Canada: Earn Double Miles & More Miles on Austrian Airlines' new Montreal-Vienna Route! Earn Double Miles & More Miles on Austrian Airlines' new Montreal-Vienna Route! In just a few short months Austrian Airlines will be launching their new Montreal to Vienna route and to celebrate they are offering double Miles & More miles for all of 2019 (well from route launch of Apr 29 to Dec 31) as long as you book your flights by Jun 30. Remember Miles & More awards miles per euro spent on airfare rather than the mileage flown. The base rate is 4 miles per Euro unless you have status with Miles & More in which case you'll earn 6 miles per Euro spent. Find many more Miles & More bonus miles offers here!